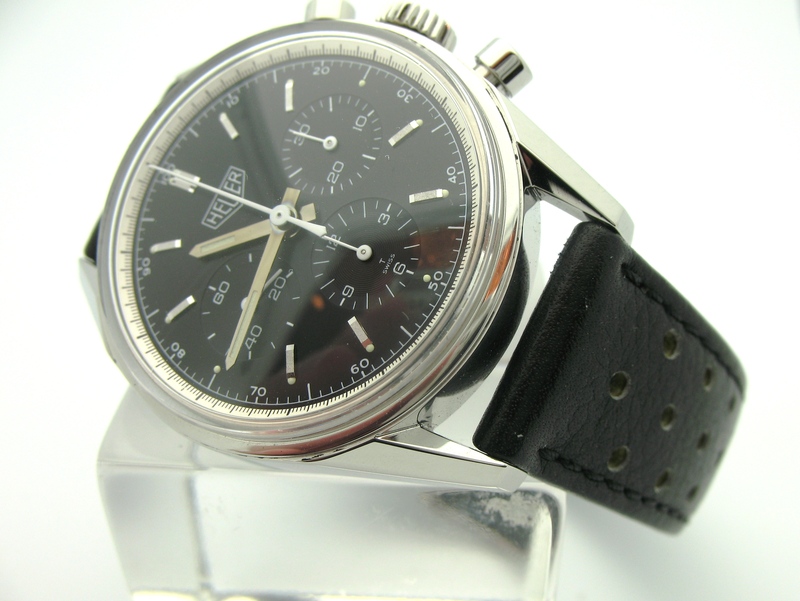 1-Heuer Carrera-This watch was one of the original chronograph watches used in measuring speed. Named for the famous Carrera Panamerica road race, and sharing its namesake with the equally iconic Porsche sports car. 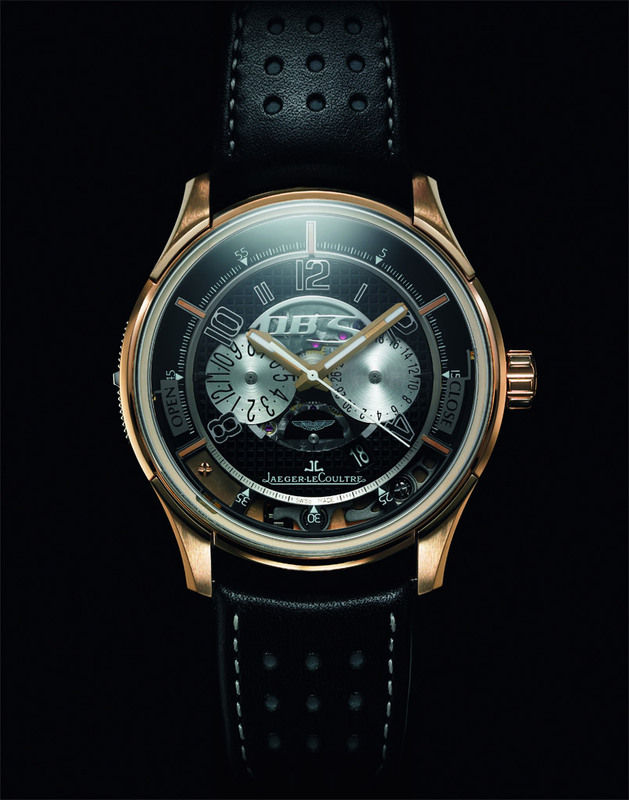 With a myriad of models available this watch has an intimate relationship with the automobile. 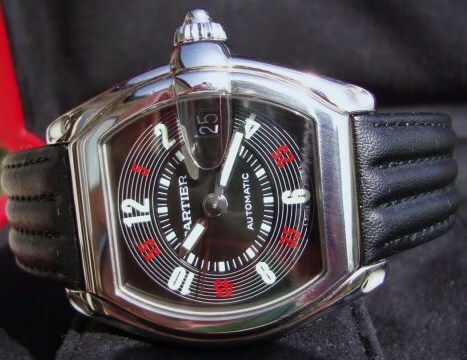 3-Cartier Roadster-One of my personal favorites and you can read about it in-depth here. This watch has all the hallmarks of iconic 50’s roadsters, especially the speedometer dialed version. this is a beautiful sport watch, not in your face in styling , but rich in automotive cues obvious to the enthusiast. 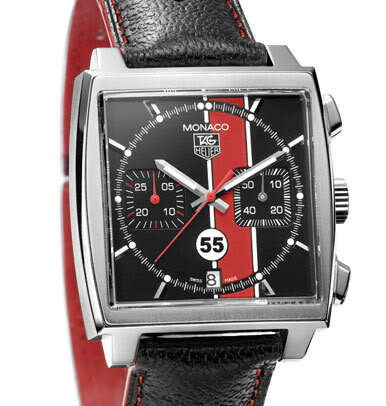 4-Tag Heuer Monaco-Another Jack Heuer creation. 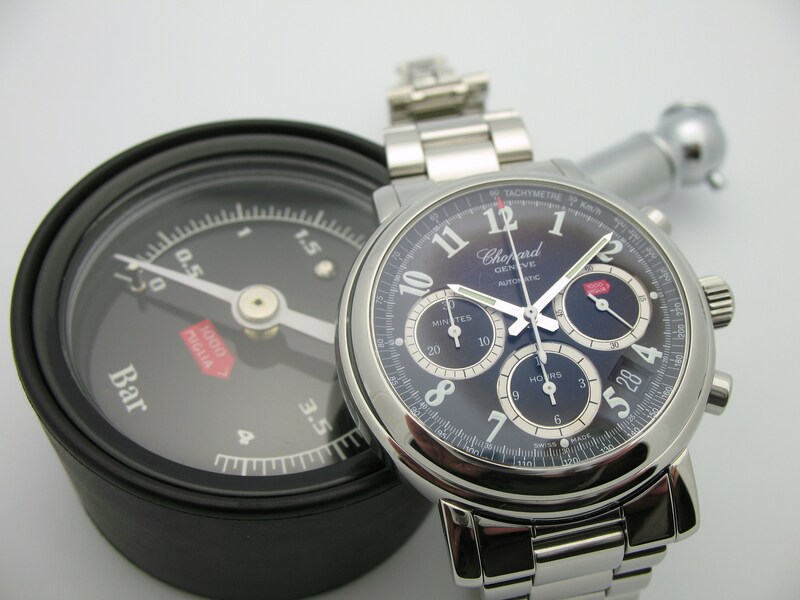 should you expect any less from the horological master, and racing enthusiast. Yet another race inspired watch this one heavily promoted by Steve Mcqueen a wonderful square-shaped case having its roots in the Breitling-Heuer venture to produce one of the first automatic chronographs. 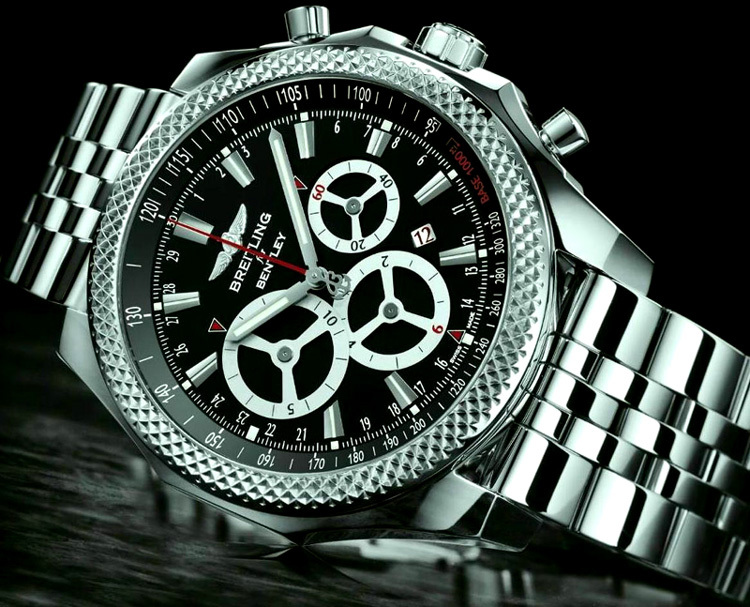 5-Breitling For Bentley is a marriage of two technological powerhouses. Breitling being a perennial favorite of navigators and watch aficionados alike teamed up with Bentley, one of the most exclusive and amazing car builders in the world. Breitling have taken some of their best movements and designs and incorporated cues from the Bentley automobiles. I will admit a few are a little garish for me, but I love the rich history both brands bring to the partnership. 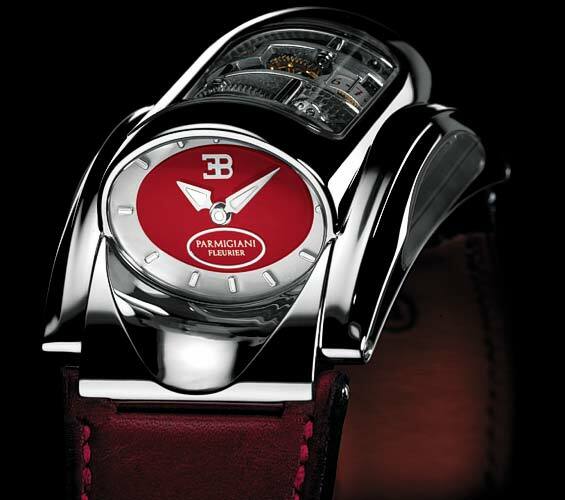 6-Parmigiani Fleurier Bugatti 370– There isn’t much to say of this haute horology time piece, the price alone places it well above the each of the common collector much like its partner car the Bugatti. Bugatti is a very historic company it its beginnings steeped heavily in racing. The racing heritage is alive and well, and their technical prowess proves that. The Parmigiani Fleurier is correspondingly technically advanced and beautiful, this one is a perfect partnership. 8-Ferrari Perpetual Calendar by Panerai-Ferrari has had a few partners in watchmaking in the past few years, none being more visible than Italian powerhouse Panerai. While few people bought these watches with the Prancing Horse on them (unless they own a car with the same horse), the Perpetual Calendar model is an impressive timepiece. It holds the ability to keep accuracy (date included) for 100 years without having to be reset, hence the name “Perpetual Calendar.” It retails for around $25,000, but hey, if you can afford a Ferrari, you can likely afford the watch that goes with it. 9-Jaeger-LeCoultre Aston Martin AMVOX DBS Transponder- As much as I love Omega I have to be be honest, if James Bond had a choice, he might be wearing this Jaeger-LeCoultre, as opposed to a Seamaster. This rare watch has the ability to be synced up with Aston Martin’s top-of-the-line DBS coupe so that pressing the glass on the watch’s face actually locks and unlocks the doors. If that isn’t cool, I am not sure what is. 10-MG Watch by MeisterSinger– while MG Cars may be struggling to stay on the market, its classic models have inspired some fantastic limited-edition watches by MeisterSinger. They pay homage to the shape and structure of a 1950s MG TDr grille. The watch features a stainless-steel case, quartz movements and mineral crystals. 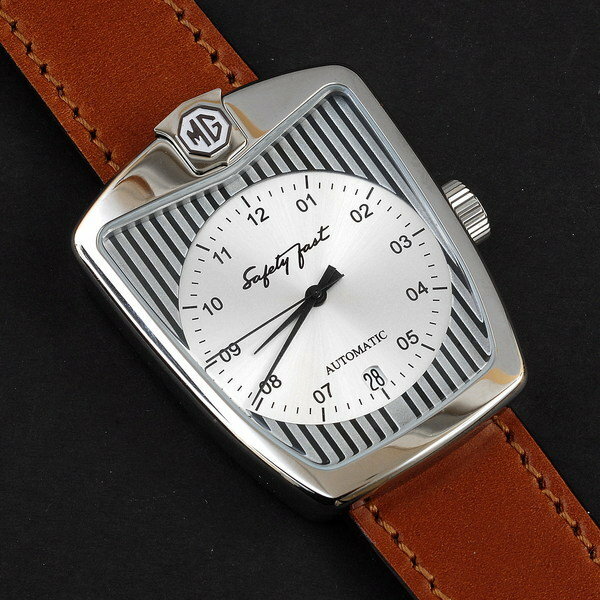 Each unit will be offered with horse leather Cordovan straps and offered in three; “Abingdon”, “Cecil Kimber” and “Cream Cracker.” The names celebrate the MG factory, the company’s founder, and the most famous of the Works MGs, respectively. The MG watch by MeisterSinger is priced around $2,200 and only 100 units a year will be produced. So when you are out shopping for time pieces, look for something that marries another passion of yours. 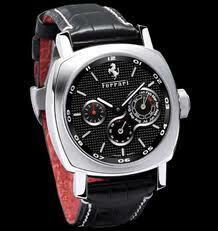 Fr me it is the automobile, I would be hard pressed to find a car themed watch that I didn’t think was swell! This entry was posted in Cartier, Chopard, Tag Heuer, Watches and tagged 10 best watches, automotive theme watches, automotive watches, BMW, Bugatti, car themed watches, car watches, Cartier, Chopard, ferrari, Mille Miglia, TAG Heuer, top ten watches, Watches. Bookmark the permalink.